The Executive Class fare would be between Rs 2,800 and Rs 2,900. 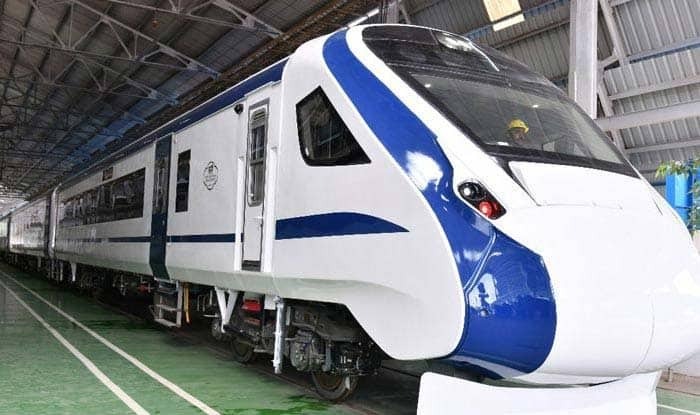 New Delhi: The indigenously-built Train 18 fares are likely to be around 40-50 per cent higher than Shatabdi Express, according to a report by news agency IANS. Talking about the fares, the officials said that it will be costlier than the Executive and Chair Class fares of the Shatabdi Express trains. The Executive Class fare would be between Rs 2,800 and Rs 2,900 while that of the Chair Car would be between Rs 1,600 and 1,700, stated the report. Officials also have approached Prime Minister’s Office (PMO) regarding the launch of the train, which is likely after the presentation of the budget. The first train is slated to run between New Delhi and Varanasi, the Prime Minister’s Lok Sabha constituency, added the report. The official said that the engineless Train-18 got the final clearance of the Electrical Inspector to the Government (EIG) on Thursday and “thus we have approached the PMO seeking time for the inaugural run of the train on the New Delhi-Varanasi route”. The Rs 100 crore engine-less train, developed by the Integral Coach Factory (ICF), is regarded as a successor to the prestigious Shatabdi Express. The train is designed in such a way that passengers can have a look at the driver’s cabin. Fitted with CCTV cameras, Train 18 would have two executive compartments in the middle with 52 seats each, whereas trailer coaches would have 78 seats each. It has diffused lighting, automatic doors, and footsteps beside GPS-based Passenger Information System. The footstep in a coach’s doorway slides outward when the train stops at a station enabling passengers to alight safely with comfort in view of the variation in height between a train’s floor and the platform.